In Pakistan 25 December has great significance Our Great leader Quaid e Azam and also Jesus Christ(Hazrat Isa) both were born on 25 December. Jack and I are honoured to get the opportunity to say merry Xmas and Happy Quaid`s Birthday On behalf of the (Christian community in Pakistan) and (Pakistanis from all the faiths). because Jesus Christ is believed to be a great man and a prophet of Allah in Christianity and Islam. 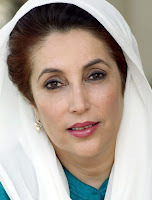 Benazir Bhutto (late) was a former Prime Minister of Pakistan. On 27th December last year she lost her life in a terror attack on her election rally. The purpose of this post is not to relate how she died and which people were involved in her death... that can be discussed later. First I want to relate some of her achievements. In 1989, Benazir was awarded the Prize For Freedom by the Liberal International. On 11 December 2008 Bhutto was awarded the 2008 UN Human Rights award for the her services for poor people of Pakistan. This award was recieved by her son. Unfortunately she was shot at and killed on 27th December 2007. General Elections were scheduled for January 2008 in Pakistan and death changed the whole scenario. Three days holiday were announced by the President of Pakistan. Bhutto's husband, Asif Ali Zardari, who Bhutto had asked to stay in Dubai while she herself had decided to go back to Pakistan, came to Pakistan on the night of her assassination. Surprisingly (and it can be said to be a positive move) the Pakistan People's Party did not boycott the election. They did not even ask for their postponement (although they were later rescheduled for February). Mr. Zardari took over the command of the PPP which people thought would be taken over by Makhdum Ameen Fahim who is a senior member of the PPP. Zardari then led PPP into a successful election campaign where PPP won seats in all four provinces and also has a good chunk of the seats in the National Assembly. Many people thought that Mr. Ameen Fahim would be nominated as the Prime Minister of Pakistan, but no! Mr. Zardari nominated Yousaf Raza Gillani as the PM of Pakistan. At this time people were thinking that maybe Asif Zardari just wants to lead the PPP without having any seat in the NA. But Mr. Zardari had other plans. He succesfully removed President Musharraf from the office of the President, with the help of Nawaz Sharif and MQM (who were actually supporters of Musharraf but at the time of impeachement they changed faces), and then even more surprisingly took over as the President of Pakistan. In short Benazir's assassination favoured her husband who is now the most successful man in Pakistan. Mr. Zardari still has the 17th Amendment's powers although before impeaching Musharraf he had stated that he would give these powers back to the Parliament. Benazir's death was for the restoration of Democracy and democracy has been restored in Pakistan but still people do not know whether and if the rule of Democratic government is better than that of a Dictator. Thanks to Enum for the corrections. A few days ago while looking for a suitable FREE spyware program I came across Antivirus 2008. By the looks of the welcome screen this software looks exactly similar to Microsoft's AntiSpyware program but in reality it is a counterfeit Antivirus program which is actually a spyware itself. Im not the only person fooled by this software. About 80% of Windows XP users have been tricked into installing this program and deleting it isnt very easy. Infact it is very difficult for an average PC user to note that this program is actually not from Microsoft. A screenshot of the program is pasted here and if your PC has been infected by this spyware follow the link below to learn how to delete this program. 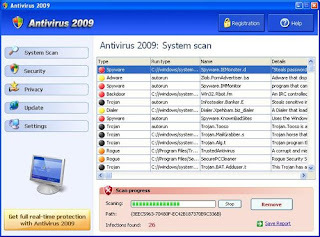 This software is also for Sale under the names: AntiVirus 360, Antivirus 2009, SpyFalcon, etc. The year was 1902, when a professor asked his student whether it was God who created everything that exists in the universe. Student replied: Yes He again asked: What about Evil? Has God created evil also? The student got silent. Then the student requested that may he ask a question from him? Professor allowed him to do so. He asked: Does cold exist? Professor replied: Yes...! Don't you feel the cold dear? Student said: I am sorry but you are wrong sir. Cold is a complete absence of heat. There is no cold; it is only an absence of heat. Student asked again: Does darkness exist? Professor said: Yes. Student replied: You are again wrong sir. There is no such thing like darkness. Its actually the absence of light. Sir...! We always study Light & Heat, but not cold & darkness. Similarly, the Evil does not exist. Actually it is the absence of Love, Faith & true belief in God. That student was Albert Einstein. The reason I have written this blog is that i find it quite interesting talking to atheists and the facts they come up with usually they refer people like Einstein. With all due respect i will not say anything against their belief but all the scientists i can recall from the back of my head all believe in God. I have managed to put a list of scientists and their faith down for you people. Isaac Newton (Monotheism), Albert Einstein(Judais), Abdus salam(Ahmadi), Galileo Galilei(Roman Catholic), Thomas Edison(Deist), Johannes Kepler(lutheran christanity), Blaise Pascal(Jansenism chritianity), Heinrich Hertz(Lutheran and jewish), Max Planck( Christian), Marie Curie(Catholic), Stephen Hawking I am not sure about him but reading his book it looks like he believes in he existence of supreme being. The only atheist scientists i know are Paul Dirac and Ernest Rutherford. Having said that i will say I feel open discussing science and religion because I believe that Science is a creation of God (Its just another way to know God (Allah) better which means its another way to pray) because the religion I follow there is no scientific fact that is wrong in it let it be theoretical physics (expanding universe) or Human Anatomy(Women’s Womb). In the end I would advise atheist to do research before disbelieving in the Existence of God and I would also mention that its not considered cool to be atheist any more. 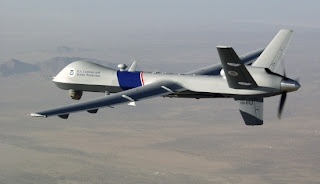 American drone attacks inside Pakistan's boundaries have created new problems for the government of Pakistan. Starting from the attack in May 2008 in Damadola (which was initially owned by the Pakistani authorities), the drone attacks increased in intensity in September, when a land raid also took place in which 16 innocent people of Angoor Adda were killed. Since September about 20-25 American drones have attacked Pakistan (im still trying to confirm the figure). All these attacks have been breaches of Sovereignity of Pakistan as well as being human right violations. I would like to highlight the land raid in Angoor Adda. It was a heinous attack which took life of innocent Pakistanis including women and children. Were the NATO commanders blind that they couldn't see who were they firing at? Surprisingly the UN Human Rights Commission didnt see this raid/attack and the slaughter of young children and woman as human right violations. There was no reprimand for American authorities. The U.S. authorities released a statement following the attack which said that the attack was based on wrong information. What if, Osama bin Ladin (although I believe that he is dead but still) releases a statement saying that the 9/11 attacks were based on wrong information. Will the US forgive him? The Pakistan Government on the other hand has condemned the attacks and asked the US authorities not to attack areas inside Pakistan. During President Zardari's visit President Bush assured him that no more attacks would take place, but hours after the announcement another drone hit the Tribal Areas. I m not a fan of the Government of Pakistan but I must say that they have used all means through which they could condemn the attacks and have tried to get the World's attention on the matter but unfortunately nothing has been done by other countries. The only available option for Pakistan is to stop the strategic aid for the NATO soldiers that goes through Pakistan. I think this option should be exercised as it is the innocent Pakistani people who are suffering in the American led war on terror. As a conclusion I would like to put up a question: the American forces and Bush administration have not been able to find Osama for the last 7 years nor have they wiped out terrorism out of this world, so does the World expect all the terrorists in Pakistan to be caught/killed in the last 4 months of the Bush Regime? Jack and I have know each for a long long time i guess i have only lived 6 days of my life without knowing him. We both share the same passion of young man who are willing to empower our society so they can make better decisions. Unfortunately we are about 6000 km away from each other so writing on blogspot will provide a platform for us to express our views and gain a better understanding of what people overseas think. Please comment and suggest new things to us. We like it when we get to know new people with diffrent ideologies. PS. Jack is in Asia and I am in Europe so we belive we are quite aware of the challenges faced in east and west. Well ....! Jack and I have known each for a long long time i guess i have only lived 6 days of my life without knowing him.We both share the same passion of young men who are willing to empower our society so they can make better decisions. Unfortunately we are about 6000 km away from each other so writing on blogspot will provide a platform for us to express our views and gain a better understanding of what people overseas think. Please comment and suggest new things to us. We like it when we get to know new people with diffrent ideologies.